The Uncurated Life: A MUJI Christmas! Shopping at MUJI is always a treat. Ever since it hit Manila, I became such a fan from their pens to their bath essentials and containers. I was ecstatic to know that they have tons of stuff to offer for the Holidays. And MUJI just made it easier for me not to make a bundler in picking out gifts. You see, I have a bad rep of giving really cheesy gifts. Now I hope with these gift ideas I don’t make a mess of it! My girlfriends, aunts and officemates will love this gift set! It’s a makeup case (comes in large or extra large) that can fit a number of 2 PP makeup storage trays or boxes. 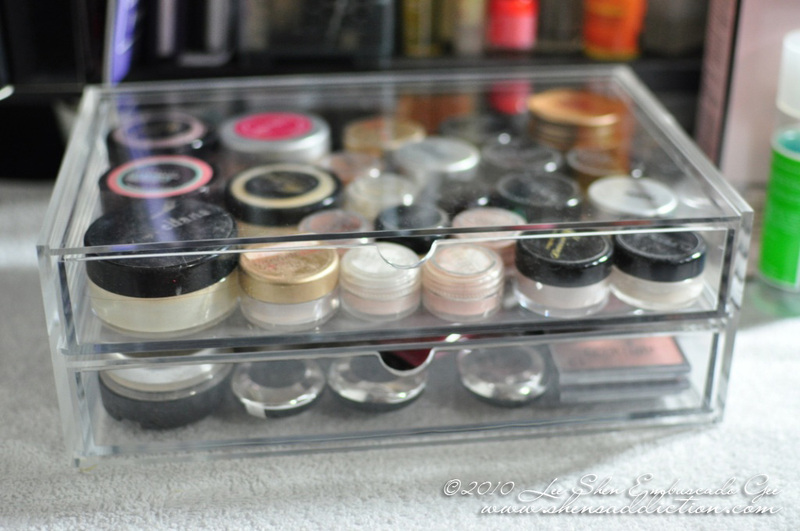 This is so great for those looking to organize their makeup, sewing, jewellery stuff at home. Of course, it’s also great for travelling. PET bottles are something that we always forget to buy. I’ve been meaning to get myself two of these but always forget. I’d include a few in my gift packs for the girls in the office… After all, it’s 20% of for any one refill pack of Shampoo, Conditioner, Hand Soap, Body Soap or Face Soap. As for the boys in my life (ie: dad, boyfriend, bosses and working cousins) will see the usefulness of this gift idea MUJI came up with. A MUJI wallet with any MUJI card case may be a little too simple but guys like simplicity and usability. Who am I think otherwise? Guys are way too practical for their own good, right? Great thing MUJI is a chic yet practical brand. Nobody’s gonna doubt a gift coming from this store. For the domesticated friends who recently got married and started a family, I finally have the perfect gift set! I wish someone would get this for this Christmas but I’d just probably grab me one of the MUJI Apron and partner it with the silicone trays and cookie cutters. The Apron I’ll keep and the trays and cutters for my friends who are much more skilled in the kitchen. Oh how I wish I was younger again! Back then I can’t seem to have too much notebooks and pens. But of course, this gift set I’ll reserve for my nephews, nieces and godchildren. Must give them something a little bit more useful than toys (yes, I’m Ms. Minchin like that). Besides who wouldn’t love the 10 colored pens with chic eco-looking notebooks? I think they’d even thank me for getting them something from MUJI! And who wouldn’t love that every gift set is 20% off? MUJI Autumn and Winter collection is finally here! As for me, I wouldn’t mind receiving a multi-way Cape that can be worn in 5 ways. With the ever changing weather, this will certainly come in handy not only in this chilly season! I’d also like me a pair of boots from MUJI! Oh gosh! Have you seen them? It comes in several styles; one is classic leather, the other boa, and raised heel! The cape and boots will be one fab ensemble during rainy season! Although I’m not a fan of layering, I’d like me some Wool Alpaca Cardigan when we visit Tagaytay or when we hit Sagada this coming summer. Actually, I think I might invest on some thermal innerwear. I can’t seem to fall asleep when I’m cold. What do you think? If you’re new to Muji I seriously recommend getting their acrylic organizers if you’re unsure what to get. I really love my makeup organizer and its super easy to stock ‘em up especially if you’re makeup is growing. Muji is available at Bonifacio High Street, Greenbelt 3, Powerplant Mall and SM Mall of Asia.